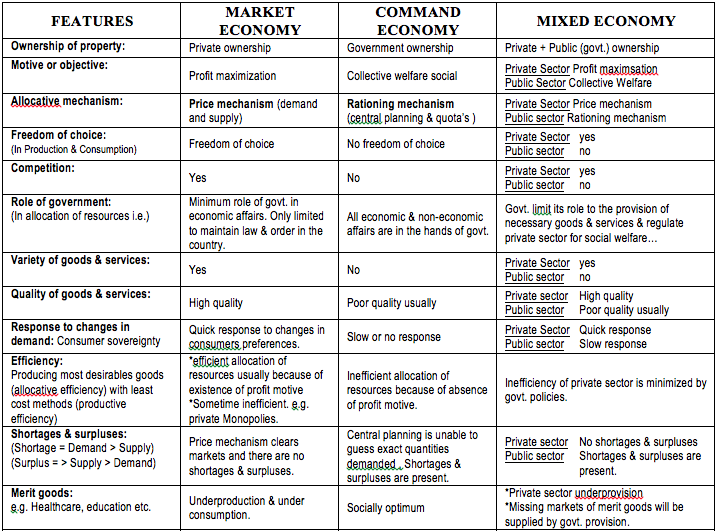 Here is some revision material on economic systems. It goes through the features of the market, command and mixed economies. Below is a screenshot of the information but you can download the word document by clicking on the link – ECONOMIC SYSTEMS. This entry was posted in Economic Systems and tagged Command Economies, Market Economies, Mixed Economies on September 29, 2015 by Mark. Here is a mind map of a mixed economy which might be useful for revision purposes. It looks at the advantages and disadvantages of the mixed system which is usually asked for in the discuss question of an essay. This entry was posted in Economic Systems, Exam revision and tagged Mixed Economies on November 5, 2014 by Mark.